"What are your carpet cleaning prices?" Is the most frequent question the staff at A Friendly Carpet Cleaning & Restoration LLC get. Want to find a carpet cleaning company that offers fair carpet cleaning prices in Bayonne? You just did! Carpeting is one of the most affordable floor coverings available. Carpeted surfaces in a home provide comfort and warmth. Families with young children like the security that a soft floor can give to the unsteady legs of toddlers. But carpets do need to be maintained to retain their appearance and functionality of serving as your home's biggest air filter. A Friendly Carpet Cleaning & Restoration LLC provides low cost carpet cleaning to Bayonne homes and small businesses. To extend the life of your carpets and keep them fresh, you’ll want to have them professionally cleaned twice a year. A Friendly Carpet Cleaning & Restoration LLC is carpet cleaning contractor that has been serving residential and business clients since 1995. When you need to refresh your indoor spaces, call us at (973) 264-9133 to schedule a carpet cleaning appointment. The old adage, “you get what you pay for” has never been more true than in the carpet cleaning industry. Your carpet’s purchase price is reflected in the thickness and density of its fibers as well as the quality of the padding and installation. The value of a quality carpet cleaning services in Bayonne can be just as noticeable. A Friendly Carpet Cleaning & Restoration LLC uses commercial-grade carpet extraction equipment for all Bayonne carpet cleaning projects. Our trained technicians clean carpets using appropriate solutions and the proper amounts of water. Those ultra low-cost carpet cleaners have to make their money somehow. Often they use questionable methods, products and equipment that can damage your flooring and cost you more in the long term. Call (973) 264-9133 to get a fair price on cleaning your Bayonne carpeting today. A Friendly Carpet Cleaning & Restoration LLC uses sound carpet cleaning methods that professionally deep clean Bayonne's residential and commercial carpeting. Hot water extraction involves the use of hot water and safe cleaning solutions that reach deep into carpets to lift out ground in dirt. 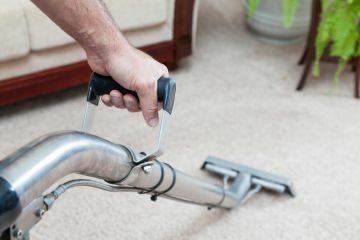 A Friendly Carpet Cleaning & Restoration LLC's carpet cleaning professionals in Bayonne use powerful suction vacuums to quickly capture the dirt and excess water from carpets. After a steam cleaning is complete, your carpets will need just a few hours to dry. A Friendly Carpet Cleaning & Restoration LLC offers affordable carpet cleaning prices in Bayonne . Ask about our carpet maintenance program and save even more! Call A Friendly Carpet Cleaning & Restoration LLC at (973) 264-9133 for a free assessment of your carpet cleaning needs. Room size, cleaning method, amount of ground in dirt, stain removal requirements and carpet type are the main factors that impact carpet cleaning prices for Bayonne New Jersey homeowners. If you have old, tough-to-remove stains in your carpets, you can expect to see an increase in service price. An expensive wool carpet will cost more to clean than one that is made of synthetic materials. Your licensed and insured carpet cleaning contractor at A Friendly Carpet Cleaning & Restoration LLC will provide a fair price quote that includes a quality guarantee. Ready for fresh carpets? Call us at (973) 264-9133 for a free quote.